We’ve written previously about the importance of maintaining the drop and home network to prevent ingress and egress. 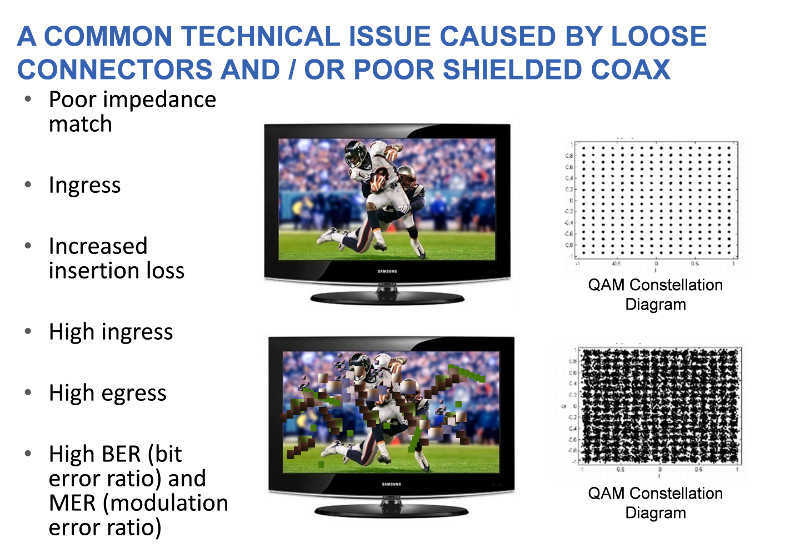 In the past we’ve described the potential problem as it relates to LTE and DOCSIS 3.1 performance and as it relates to MoCA signal performance. But our research and extensive field studies have shown that even in systems where the performance thresholds are not as stringent, there can be a significant, undiagnosed problem. We feel it’s an important enough effect in the field that we wanted to go into more detail on this issue. If your drop network is not carefully planned, installed, and maintained, you will have increased service calls, and decreased customer satisfaction. We all know what that leads to – churn and loss of revenue. It is also quite common that when we explain this potential issue to network planners, managers, and technicians, they are quite confident that there is no such problem in their broadband networks. They believe that the products, training, and techniques they use prevent any problems of ingress and egress in their drop networks. Unfortunately, this confidence is often unfounded. They may have been installing new, top of the line technology for the last several years without realizing how much old technology is still in their networks. There are far more connectors out there that were not designed for today’s networks than many people realize – connectors behind wall plates, for instance, may be several generations old. 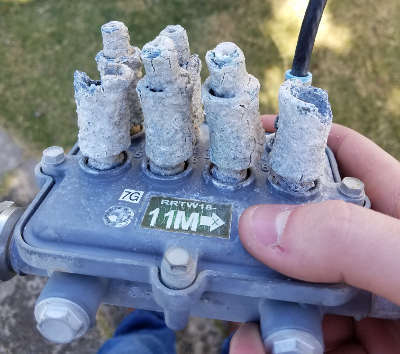 Older connectors and older cable is not replaced at a rate to keep up with network changes. Subscriber self installations can cause repeated problems. Loose connectors resulting in loss of ground create a significant reflection and ingress / egress. All it takes is one loose connection and the entire drop network, and sometimes even beyond it, is affected. 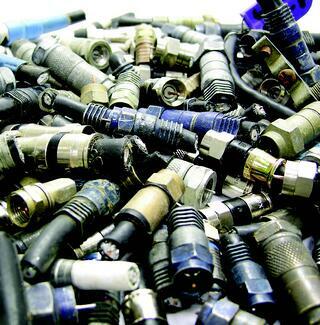 Poor performance is generally related to moisture migration, damaged coax, and loose connectors. Replace or repair with products specifically designed to avoid these problems. System/MSO drop component specifications are designed to meet the latest technology advancements. Don’t assume an existing component will support these latest technologies. Root cause determination leads to product and process improvements.